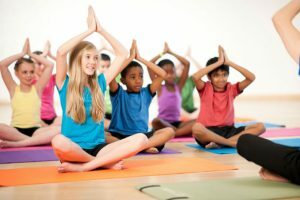 Fun yoga for kids – so much more than just poses! Kids have fun while they learn balance, games, techniques, movement, etc. They become calmer, more centred and relaxed, learning to play, socialise and develop at the same time. Suitable for both pre-teens and teens helping to increase self-confidence, build a positive self-image, develop self-discipline and self-control in a fun, non-competitive environment.